Janasena party President Pawan Kalyan today extended hi support for the struggle by residents of some villages in West Godavari district against establishment of an Aqua Food Park. The people who spoke a ahead of Pawan Kalyan at a press meet in Hyderabad, putative that the food park being established in the Godavari delta area which has polluted a major canal that is lifeline to farmers and fishermen. The factory is being established without any consent of public opinion. The people said that police cases were being filed against those who are fighting against the food park. Pawan Kalyan asked why the Government did not respond adequately to the entreaty of those opposed to the Aqua food park. When PM Narendra Modi talked about cleaning the Ganga, then why the Govt did not look into the fears of pollution of river at a time. Pawan not opposed to industrial progress, suggested the government to consider the shifting of food park to a different location. 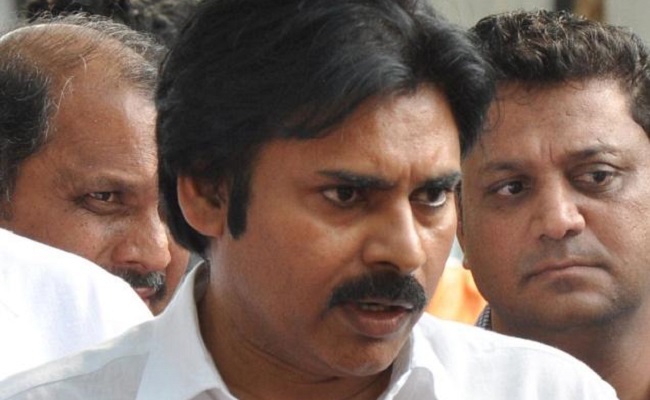 Pawan said his party would provide legal support and fight for justice to the affected people.